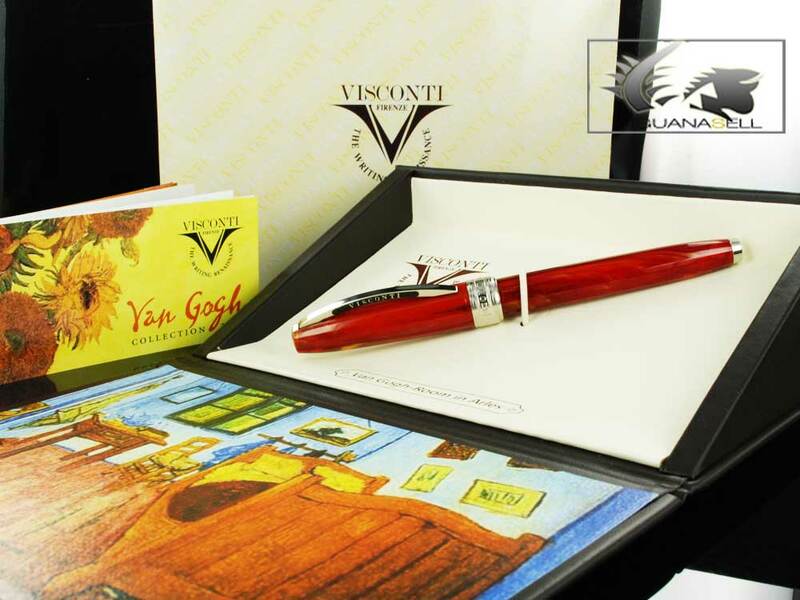 Continuing the collection of Van Gogh pens, Visconti proudly offers this beautiful model. 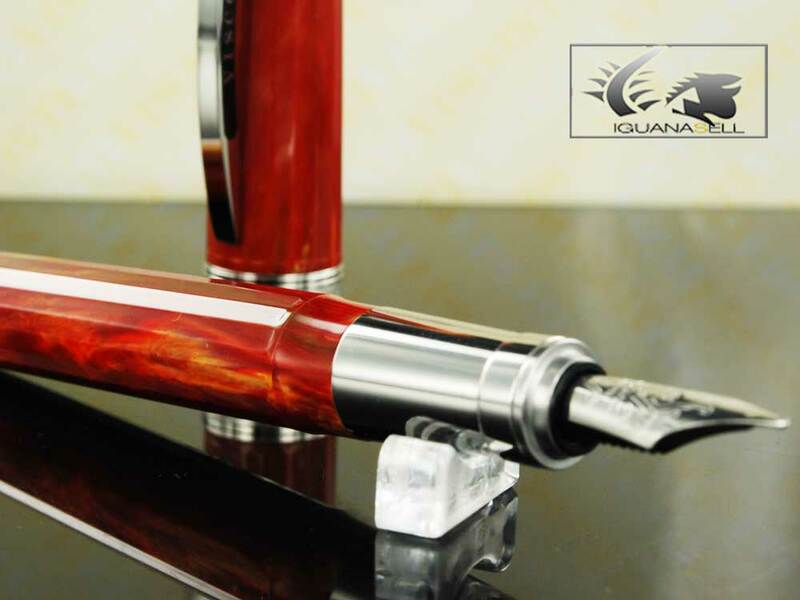 Inspired in Van Gogh’s canvas “Room in Arlés” the pen is finished in a blend of red, blue and yellow resin. It gives you the feeling that the artist’s own pallet of colors has been used to make it! The pattern on each pen is unique since the mix of colors is not arranged in any particular way. 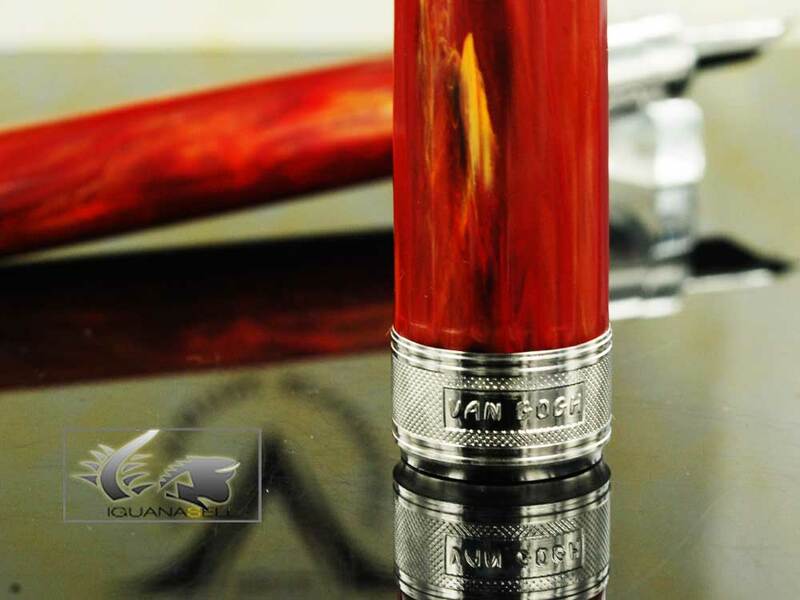 This design is found on fountain pen, rollerball pen and ballpoint pen.